Victoria Winters once again narrates the opening of episode 214, speaking in elevated language about the two Collins' houses. The new house, teaming with life, and the Old House, slowly decaying under the memory of forgotten times. 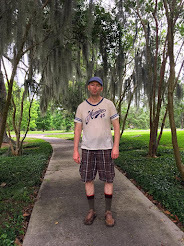 We then see a panoramic shot of the Old House as Victoria enters looking for David Collins. Barnabas Collins descends the stairs, startling her. I wonder if it will be discussed why he's even there and why it doesn't seem odd that he appears to have moved in. As Barnabas Collins assiduously describes the construction of the Old House it is apparent that the two houses are really the stars of Dark Shadows. Characters come and go in them. 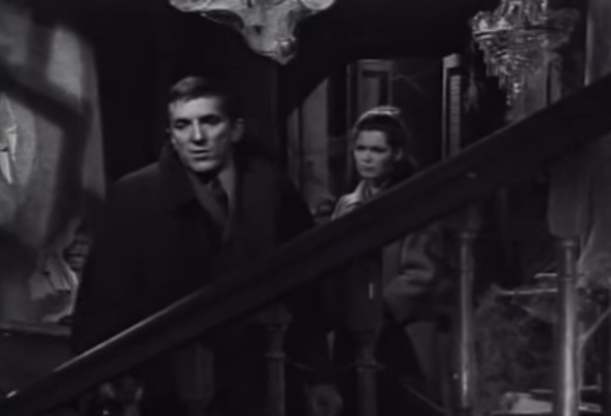 Barnabas Collins relates Victoria Winters.to the history of the construction of the Old House, the hatred and agony that resulted there, and the stairs where a father and son had an exchange that led to the "death" of the son. I realize referring to IMDB that I have already forgotten who some of these characters are. Now Roger Collins appears. He seems familiar from the later episodes I have seen and one of the tv movies. House of Dark Shadows. But they all play different characters in the movies and various time lines. Wonder why they're not concerned that David hasn't shown up? 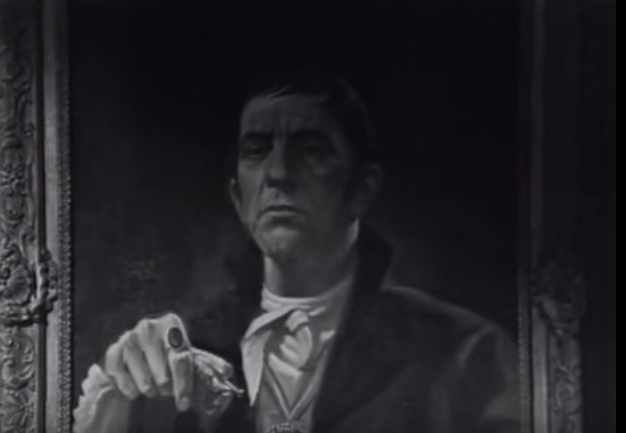 The episode ends with Roger Collins, Victoria Winters, and Carolyn Stoddard commenting on how Barnabas not only seems to be the likeness of the figure in the portrait, but the figure himself. There is then a dissolve to Barnabas on the moors in fog. Pretty good episode.